Visual acuity is a measure of how well you can see. One of the most important components of an eye exam, a visual acuity test will help your eye doctor determine whether or not you need vision correction. Visual acuity testing is no substitute for a comprehensive eye examination. However, it is one of the most important measurements one can perform when evaluating the human visual system. Visual acuity can be tested at a distance as well as up close. Distance visual acuity is a measurement of your degree of vision loss. It is measured by testing the smallest object that you can recognize, usually on a chart located 20 feet away. This measurement is recorded as a fraction, with 20/20 being considered normal vision. Distance visual acuity is usually tested by isolating each eye and then measuring both eyes together. 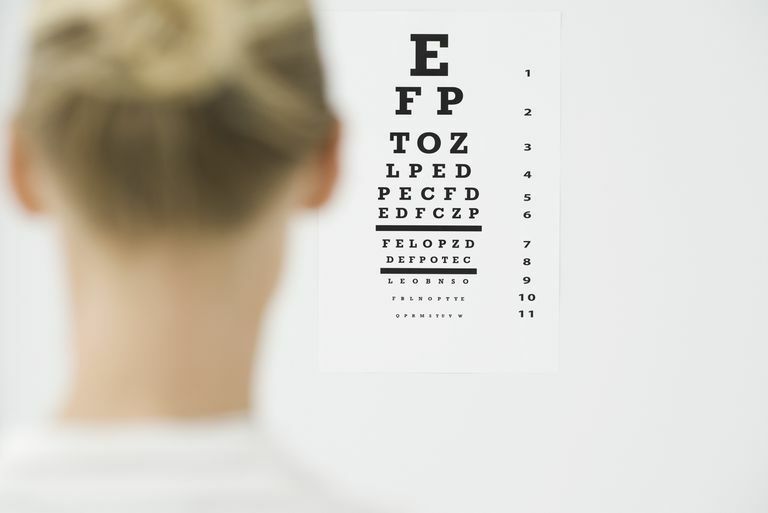 In most cases, an eye chart is used with various sizes of letters that progressively get smaller and smaller. Near visual acuity is a measurement of how well you can see close objects. Usually measured at about 16 inches, it is a good way to measure your ability to cope with tasks such as reading or sewing. In most cases, near visual acuity is measured with both eyes open. You will be asked to hold a near point card at 16 inches and to read the smallest line possible. Intermediate visual acuity is a measurement of how well you see at an arm's length distance or somewhere between distance and near. Although not a typical measurement in an eye examination, it becomes more and more important for eye doctors to assess intermediate visual acuity because this is the distance where most computers are set. There are many ways to measure visual acuity. One measure of visual acuity that is commonly used is Snellen visual acuity, named after Dutch ophthalmologist, Herman Snellen and was developed in 1862. Snellen visual acuity is measured as a fraction and is represented as the distance at which the test is performed over the distance at which the smallest optotype identified subtends an angle of 5 minutes of arc and the detail of that optotype subtends 1 minute of arc. An optotype is a standardized letter, shape, picture or number used to show the subject whose visual acuity is being measured. Using the metric system, the formula is the viewing distance in meters over the letter size in M-units. So, 6/6 is the same as 20/20. 20/20 visual acuity means that a person can see small detail from 20 feet away the same as a person with normal eyesight would see from 20 feet. If a person has a visual acuity of 20/40, he is said to see detail from 20 feet away the same as a person with normal eyesight would see it from 40 feet away. Normal or average human visual acuity is said to be 20/20. However, there are many people that can see 20/15 and a few that can even obtain 20/10 visual acuity. It is possible to have vision superior to 20/20: the maximum acuity of the human eye without visual aids (such as binoculars) is generally thought to be around 20/10. American Optometric Association (AOA). Visual Acuity: What Is 20/20 Vision? AOA, 2006-10.